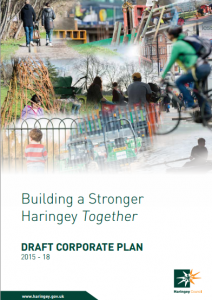 LB Haringey is facing a 25% cut in funding and has issued a Corporate Plan. There is a consultation running to 18 January 2015. 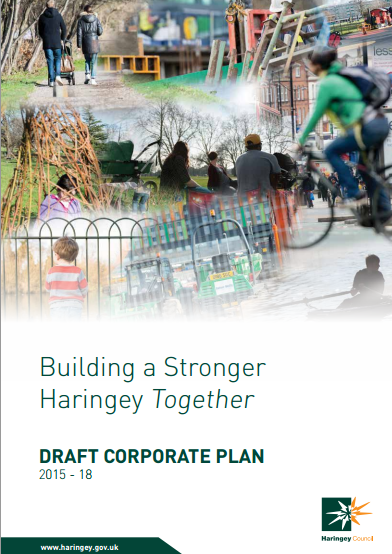 See the ‘Stronger Haringey’ webpage for further information. We have added some additional notes in red below – but please spare a few minutes to complete this survey – tell Haringey Council what you think. within the new budget limitations. among children and adults returning to cycling. by removing illumination from signs, which is essential for road safety. We will make Haringey one of the most cycling and pedestrian friendly boroughs in London. smarter travel campaign to persuade people to use sustainable modes of transport. Who will be involved in delivering the objective? Objectives How will we deliver the objective? How will we measure success from 2015-2018? Please take the time to add your views – feel free to copy and paste our comments in to your response.